Fire Patriot Award group: VIFS Fire Service Director Clifford Joseph holds his Employer Support of the Guard and Reserve Patriot Award, while surrounded by V.I. Employer Support of the Guard and Reserve committee members and VI Fire Service staff, March 27. Joseph was nominated by firefighter, 1st Lt. Kai Callwood, a VING officer. 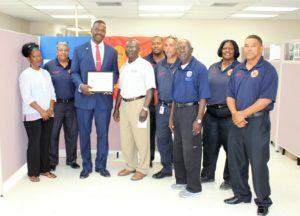 The Employer Support of the Guard and Reserve (ESG&R) presented the 2018 Secretary of Defense Employer Support Freedom Award to the Virgin Islands Fire Service on June 23. The certificate was given to Clifford Joseph, VIFS service director, during the V.I. Committee of the ESG&R’s annual St. Croix Employer and Volunteer Awards and Recognition Dinner held at the Buccaneer. An officer in the V.I. Army National Guard (VING), 1st Lt. Kai Callwood, nominated the fire department because of the support Joseph and his leadership team gave to him and the other guardsmen working for the department. 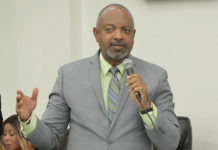 As he expressed his thanks, Joseph accepted the challenge by the dinner’s guest speaker, Wilma A. Lewis, chief judge, District Court of the Virgin Islands. Thank you, was conveyed by Callwood when he nominated Joseph for the Patriot Award for the support he received. Joseph received that award on March 27, 2018. Director Joseph is in charge of hundreds of firefighters and support staff in the territory. According to Callwood, over 15 personnel under his command are service members who are called to military duty typically on the same days and time. “He and his subordinate leadership have always made necessary accommodations that allowed us to fulfill our military duties without any problems — but with a lot of support,” said Callwood. 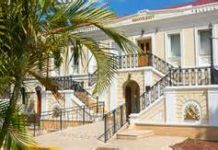 That support was demonstrated after two category five hurricanes had struck the territory in September 2017. 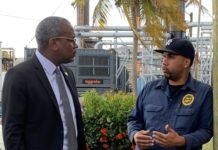 “In the wake of hurricanes Irma and Maria, the department supported [my] fulfilling military duties due to the shortage of [military] officers in the assigned area,” said Callwood. “Even in the time of disaster, the department allowed critical service members to perform those duties and work with each other, in support,” he said.